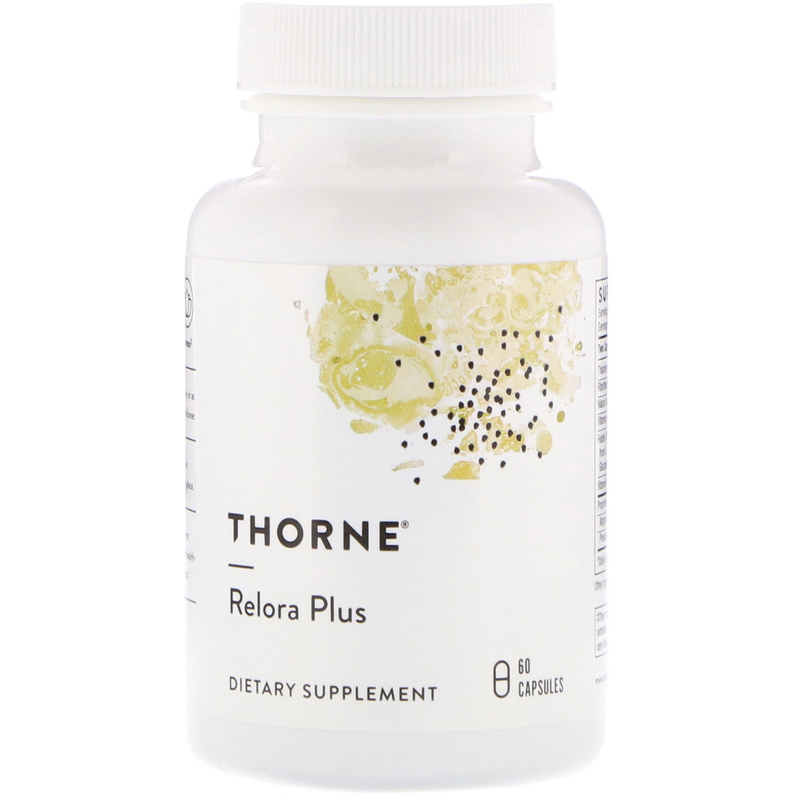 Relora Plus blends two botanicals used in the practice of Traditional Chinese Medicine for over 1,500 years, and six B vitamins. 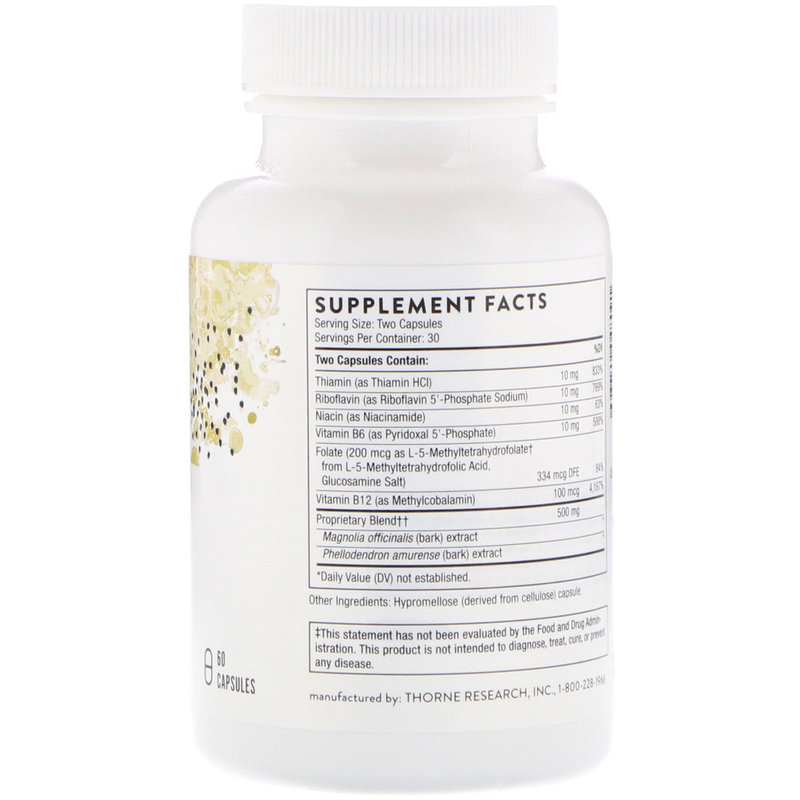 It supports restful sleep, and balances cortisol and DHEA levels. Individuals who are occasionally anxious, and who eat when stressed, can have trouble maintaining an optimal weight. Relora Plus is a proprietary blend of plant extracts from Magnolia officinalis and Phellodendron amurense (two well-known botanicals used in the practice of Traditional Chinese Medicine for over 1,500 years) along with six B vitamins, including the active forms of vitamins B2, B6, B12, and folate. Studies have demonstrated that the active plant constituents in Relora can achieve a healthy cortisol level (cortisol is a marker of adrenal stress), support a healthy DHEA level, minimize stress-related eating, and support weight management efforts. The six additional B vitamins in the Relora Plus formula are included to promote a positive mood and to mitigate the effects of stress. †This product uses Gnosis S.p.A.'s L-5-Methyltetrahydrofolic Acid, Glucosamine Salt (Quaterfolic). ††This product uses Relora (a proprietary blend of a patented extract from Magnolia officinalis bark and a proprietary extract from Phellondendron amurense bark.